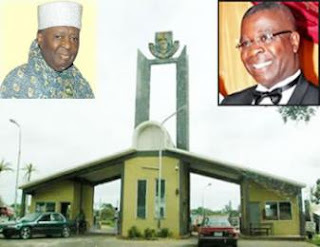 WORRIED about the plan by the Royal Traditional Council of Ile-Ife to officially announce the demise of the Ooni of Ife, Oba Okunade Sijuwade on Tuesday, the Dean of Students’ Affairs of Obafemi Awolowo University (OAU) imposed a curfew on its students. This directive was contained in a release issued and signed by the acting Dean, (Dr) Mrs I. M. Durosinmi, on Tuesday, asking students to stay indoors for the duration of the burial rites. It read: “This is to inform the generality of students that there shall be a curfew in Ile-Ife, on Wednesday, August 12, from 9.00 a.m. till 4.00 p.m. and from 11.00 p.m. till dawn. “Students are, therefore, strongly advised to stay on campus and those off-campus should remain indoors. Nigerian Tribune, however, gathered that classes and continuous assessment tests scheduled for Wednesday would no longer hold. Meanwhile, majority of Ife residents, on Tuesday, stormed commercial banks to withdraw money from their accounts. Head of Oro Cult, who is also the Awara of Iwara-Ife, Oba Layi Adereti, had on Monday, disclosed that the official announcement of Oba Sijuwade’s death would be made on today, warning that there would be procession of Oro cult group. He had said the development would culminate in the restriction of movement between 9.00 a.m. and 4.00 p.m, just as he advised residents of the ancient town to remain indoors during the hours the procession by Oro cult would last. As a result of the development, many residents and students in Ile-Ife, on Tuesday besieged commercial banks in the town to withdraw money, with a view to beat the anticipated restriction of movement today.